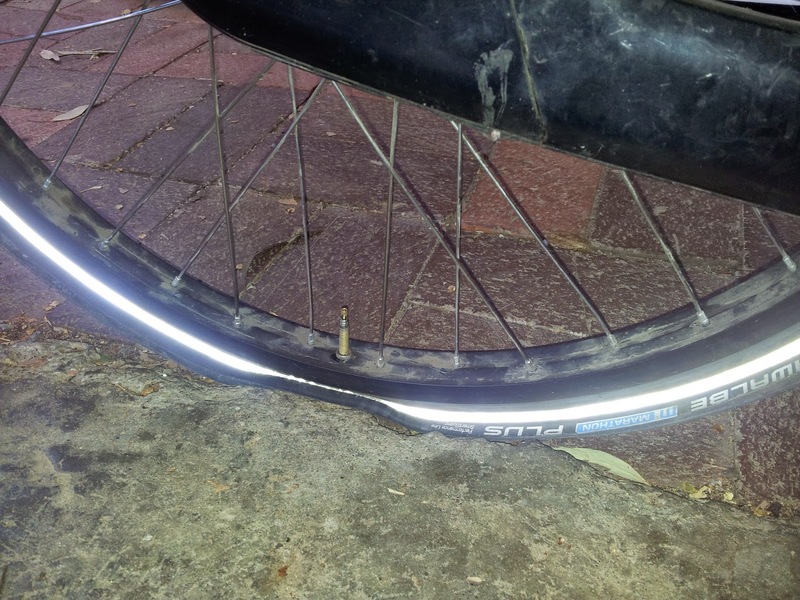 A few months ago I had my back wheel rebuilt by a local bike shop. 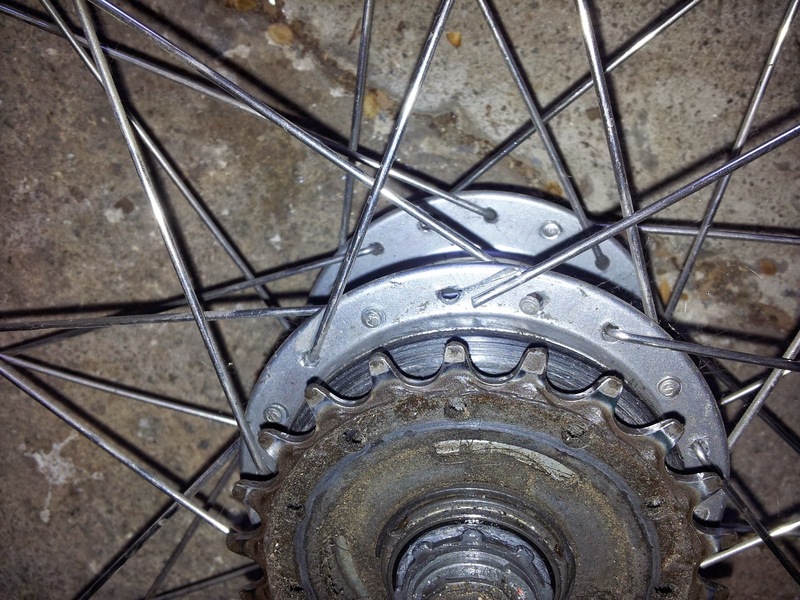 At the time, they were unable to get the thick Dutch spokes, so they kindly did what they were able, and fit the thinner Australian spokes, and to accommodate those spokes, put a normal rim on. 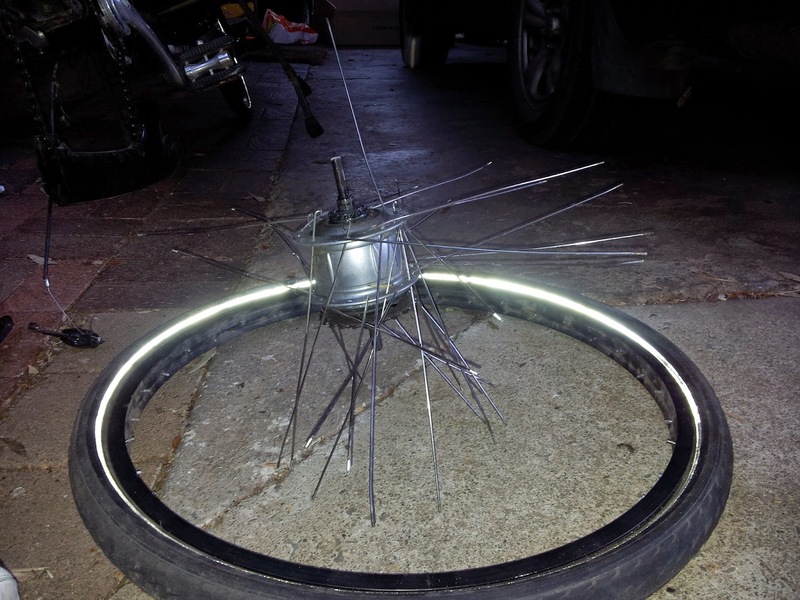 However, the thinner spokes just aren't up to the ~250kg gross vehicle mass of the Bakfiets when fully loaded, and so I have been popping spokes and really just fire-fighting on the back wheel since then while I ordered new Dutch spokes, which took a little while longer than hoped to get here. 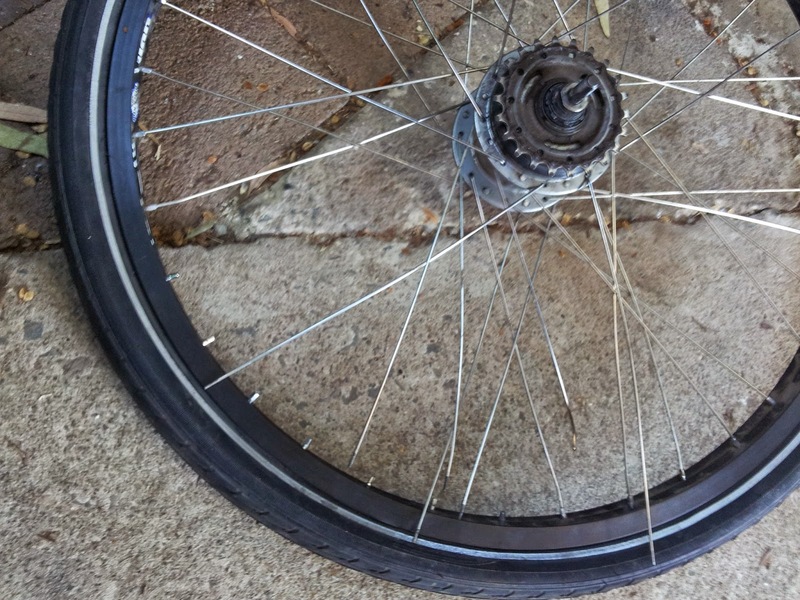 However, this morning they arrived, which turned out to be not a moment too soon, as I had popped another couple of spokes in the last few days, and was faced with the prospect of pulling the back wheel out again, just to keep it going. 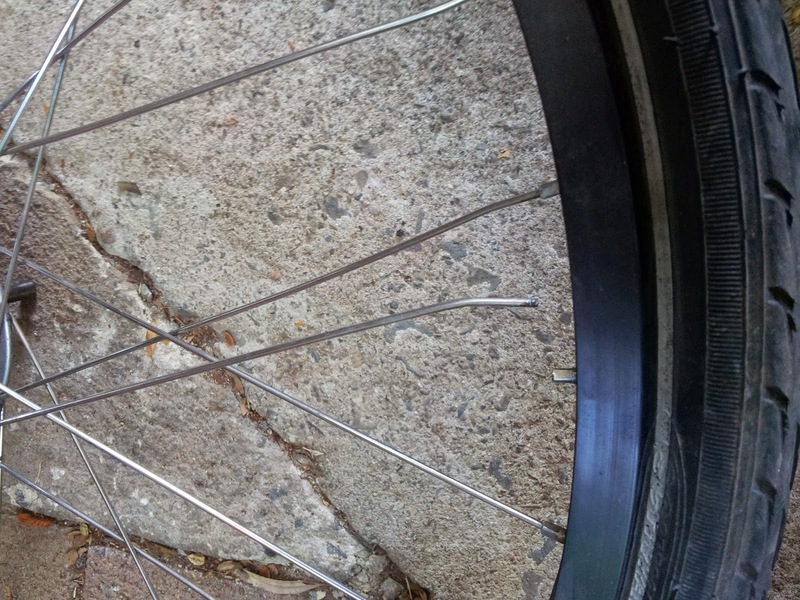 This afternoon at work, however, I noticed that I had a completely flat back wheel, which I had presumed was due to a spoke-head poking a hole in it, since the thin spokes have to be tightened quite hard just to keep the wheel reasonably straight. Thus I was faced with absolutely having to pull the back wheel out and sorting it all out again. I was much happier to do this going back to the 10 or 11 gauge Dutch spokes rather than persevering with 12 - 14 gauge Australian spokes. 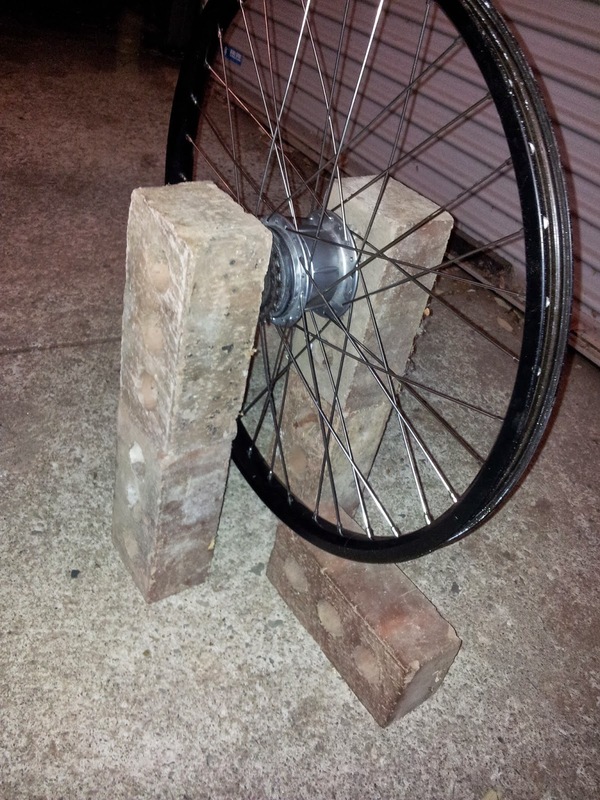 I then set about lacing the new wheel up using this really helpful video as my guide. It was the first time I had actually laced up a wheel, and although I had to back-track a couple of times, it wasn't that hard. 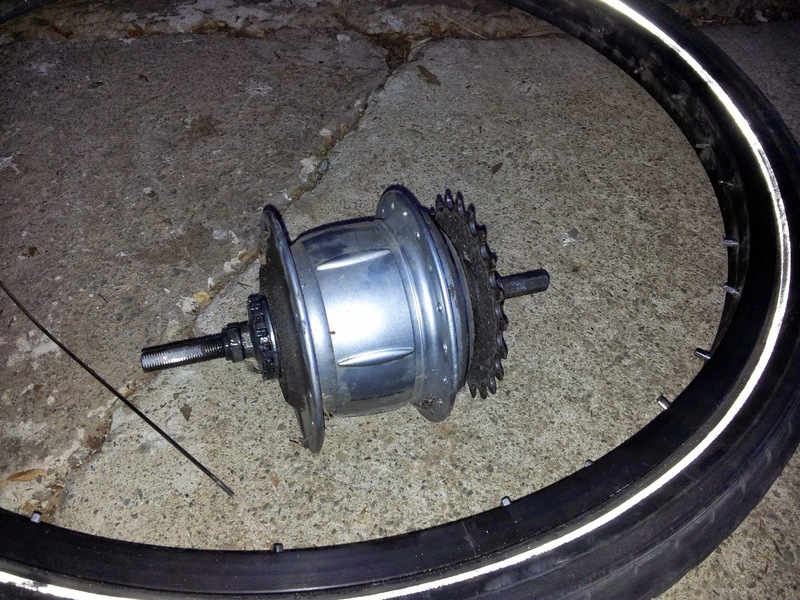 It probably helped that I have been changing a lot of spokes recently, but even so, it just isn't that hard. The next challenge was to true the wheel. With the bakfiets you can't really sit the bike upside-down and pedal to see how the wheel is wobbling and then fix it. 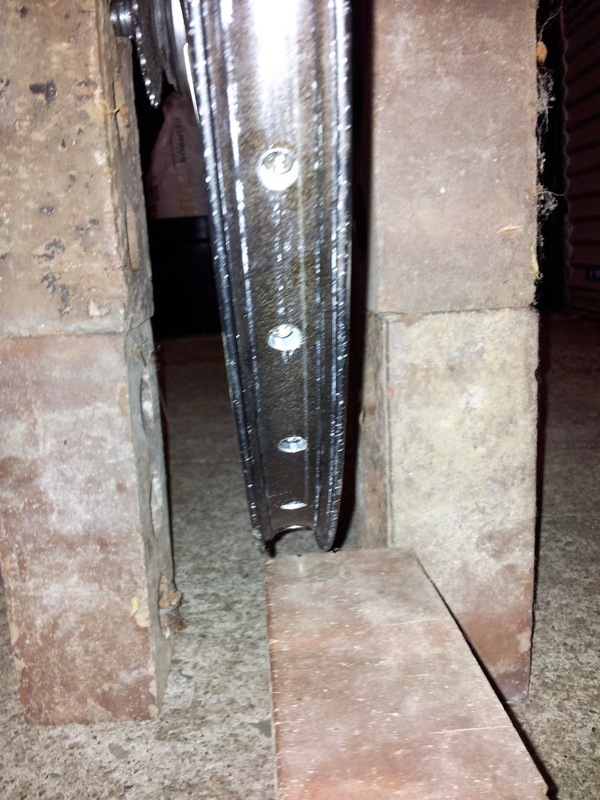 But I also don't have one of those really nice wheel truing stations. So I built one out of half a dozen bricks. 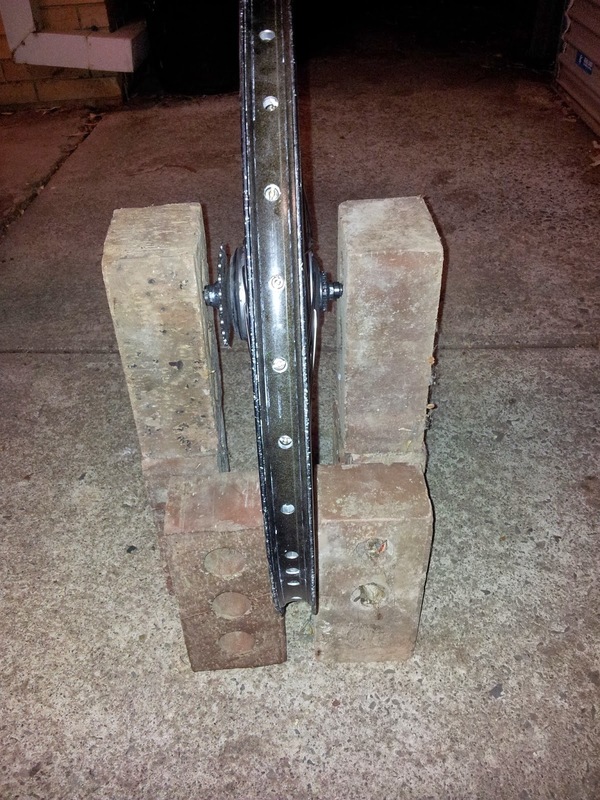 After all, you only need something to hold the axle of the wheel, and then something to act as a reference so that you can see how the wheel is wobbling all about. ... and to the other. 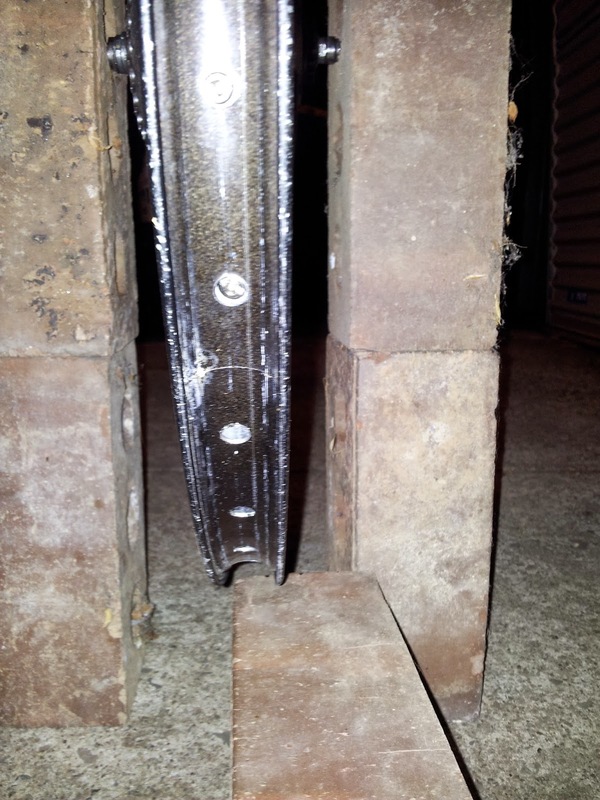 Once I had it roughly right, I put bricks more closely on both sides to see if the wheel stayed in line. I then had to spend another 15 minutes or so tweaking the tension on the spokes because it was sitting a bit too far to the left and rubbing. 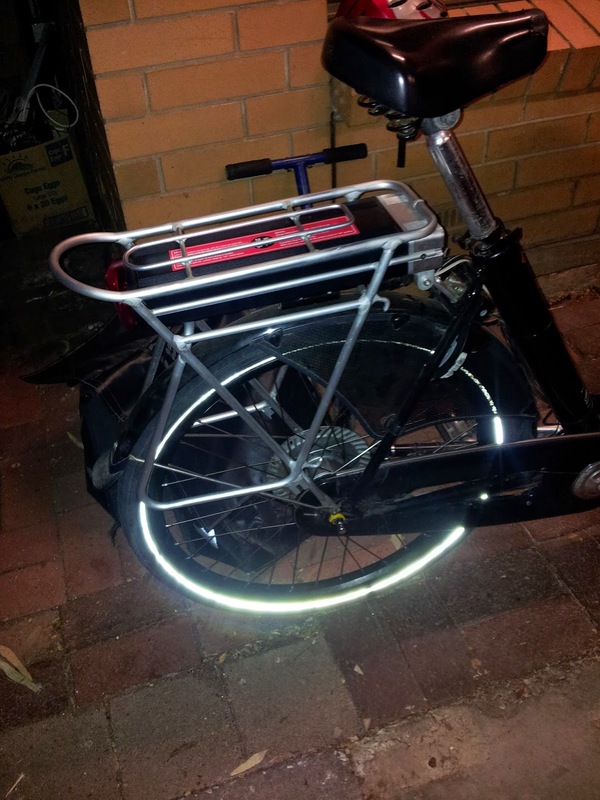 But after about five hours, I have managed to rebuild the back-wheel, so that I am not bakfiets-less for the school and work run in the morning.